I really have a thing for chocolate chip cookies. Once I think I find the perfect recipe, I try another and it’s my new favorite. Let’s see if these become my new fave. These Hershey’s Soft and Chewy Chocolate Chip Cookies look so puffy and soft! Crumb cake is once of those cakes I’m always wanting to bake. The more crumb the better!! I thought this Cherry Berry Buttermilk Crumb Cake has one of the best crumbly toppings I’ve ever seen! All of these 23 Whole-Grain Desserts You’ll Actually look amazing. I think we can trick ourselves into thinking they are healthy because they have grains in them. Then we won’t have to feel so guilty. Right? Are you with me? I typically do not eat any meat, so I found this article to be sooooo informative. Tons of info on how to ensure you are getting all of the proper nutrients your body needs. I will be pouring over this! Nutella Stuffed S’mores Cupcakes: Need I say more? I think not. Have a great weekend! Any fun summer plans? Yay! I bet it’s so nice to finally be out of school! I’m enjoying my summer break by reading and baking a ton, plus I’m hoping to take some summer trips soon. 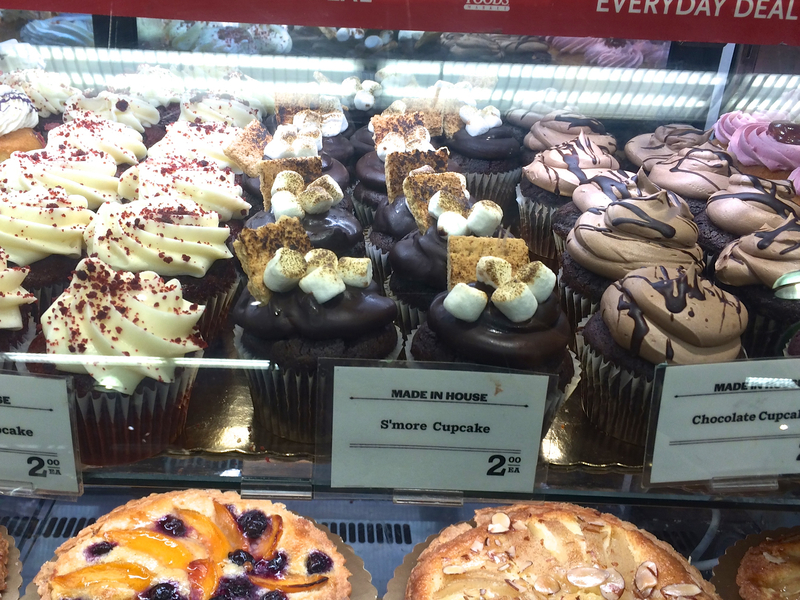 Those cupcakes in your picture look kind of amazing, and now I want to visit Whole Foods here just to see if they have ones that look that good…love the list! The cherry crumb cake is gorgeous. 😋 Can’t wait to see what you bake up on your break! I hope to do some reading too. Hope you have fun on your trips! So glad you enjoyed the list, hoping your Whole Foods has some delicious treats 🙂 Thanks so much! Hooray for a summer break!